Action Comics #1000 is now upon us. How about that! Some news outlets have been been running feature articles on which covers are the best that the series has ever featured. The New York Times, for example, devoted a full page to the endeavor this week. 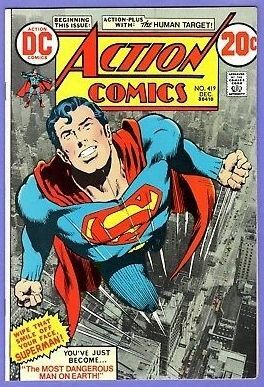 And on the 13th Dimension comics blog, Superman writer/artist Dan Jurgens told what his favorite Action Comics covers have been. Mr. Jurgens' top choice was Action Comics #1 and his first runner up was issue 419's cover, as shown above. I was very pleased to see #419 on the gentleman's list, especially so prominently, because that is my very own favorite Action Comics cover of all time. Because I owned it for twenty years! 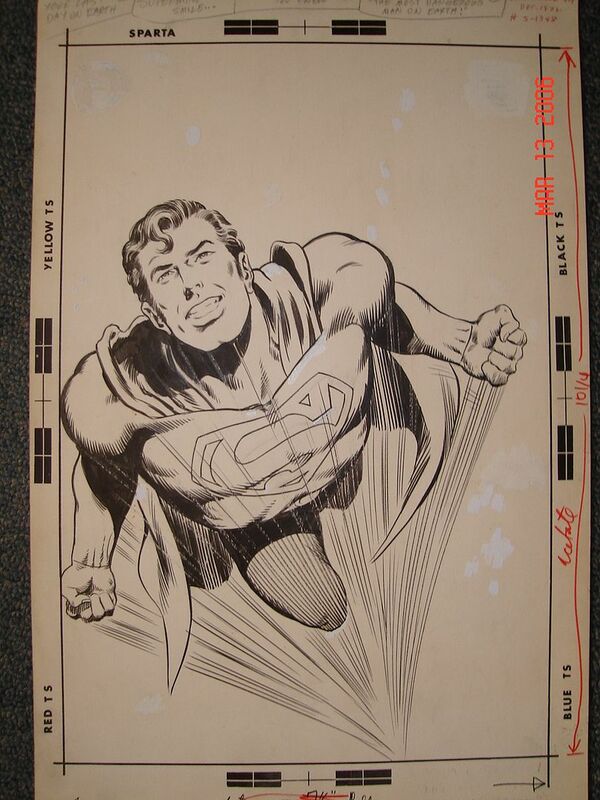 The original artwork pencilled by Neal Adams and Inked by Murphy Anderson is shown below. Iconic and fabulous. It was my great pleasure to own that page from the mid-1980s until 2006. It was purchased from me by a gent who wrote a half-dozen episodes of Seinfeld and you can read about the artwork's current status and whereabouts over here.